Sierra Pacific Industries to clearcut log near Paradise Lake NE of Chico, CA. This THP is about a dozen miles NE of Chico, CA near Paradise Lake and Stirling City at an elevation of 2,560 to 3,600 feet. Sierra Pacific Industries is planning a mostly clearcut and fuel break tractor and cable logging operation in ponderosa pine, sugar pine, white fir, Douglas fir and incense cedar forests. There are 4 unstable areas including 2 areas of hydraulic mining wash, an unstable area on PID property, and a possible soapstone mining area. SPI wants to construct 100 feet of skid trail through a watercourse area adjacent to Paradise Lake in section 18, and re-construct a seasonal spur road and drafting pad near a class I (year round) watercourse, and a seasonal spur road and drafting pad near a class II (mid sized) watercourse. 21 road drainage sites are planned for work including rocking, dip construction, culvert repair/replacement and restoration of washed out crossings. There is 1 osprey nest adjacent to Paradise Lake Dam, and an unoccupied historic osprey nesting snag in unit 500. Two pacific fisher denning sites are located approximately 1 mile away in sections 7 and 32, and one sharp shinned hawk nest is located within unit 500-T in section 12. Six CA spotted owl nesting territories are located within 1.3 miles of the THP area. There were 5 sensitive plant species reported including: butte county morning glory found in sections 26, 35, true’s manzanita found in sections 6, 35, Sanborn’s onion found in section 12, butte county fritillary found in sections 12, 7 and cascara buckthorn found in section 12. Sierra Pacific Industries to log near Camptonville, CA. 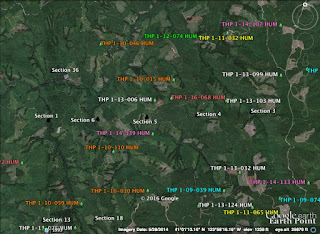 This THP is about 15 to 17 miles north of the Nevada City/Grass Valley area and 1 mile north of Camptonville, CA at an elevation of 2,600 to 3,200 feet. 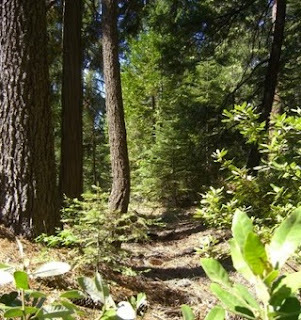 Sierra Pacific Industries is planning a tractor based logging operation in ponderosa pine, sugar pine, white fir, Douglas fir and incense cedar forests. There are 3 unstable areas in sections 26 and 35 in close proximity to an existing road that has historic strip mining and tailing damage. Two sightings of Foothill Yellow Legged Frogs were reported in sections 3 and 24 (within .7 to 1.34 mi of the THP area). There are 4 CA spotted owl territories within 1.3 mi of the THP area. Green Diamond Resource Company to log in fisher habitat near Trinidad, CA. 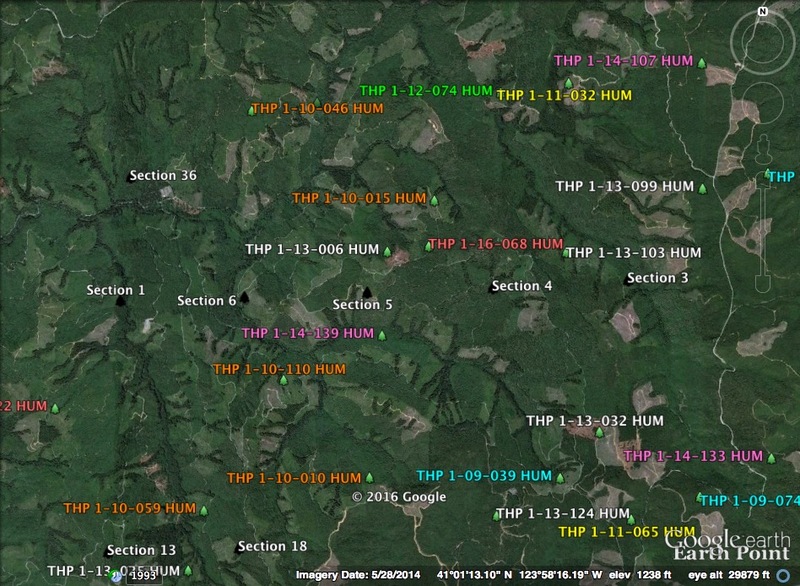 This THP is about 9 miles SE of Trinidad, CA and about 7 miles NE of McKinleyville, CA at an elevation of 300 to 2,000 feet. Green Diamond Resource Company is planning a tractor and cable logging operation on steep and unstable slopes in redwood, Douglas fir and western hemlock forests. There are 2 landslide terrain features in unit D, including a landslide along the NE portion of the unit, and a small slide near a class II (mid sized) watercourse. 16 road drainage sites are planned for work including rocking, dip construction, ditch cleaning and restoration of washed out crossings. A Pacific fisher has been spotted in units A and E, and there is an historic peregrine falcon eyrie (Hoover Rock) within 550 feet of unit D and within .25 miles of the CR2230 and CR2240 haul roads. Spotted owl nesting territories are located within .25 miles of unit D, and within .5 miles of units C and E.
Green Diamond Resource Company to log north of the town of Klamath and the Klamath River. This THP is about 4 miles north of the town of Klamath, CA and a few miles east of Highway 101 and Redwood National Park. 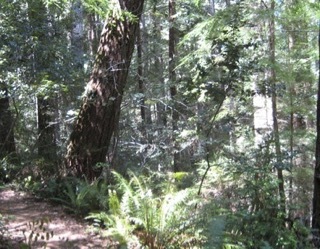 Green Diamond Resource Company is planning a tractor and cable logging operation in redwood and Douglas fir forests. The THP area flows into the Klamath River which is listed as an impaired watershed for nutrients, temperature, dissolved oxygen and sediment. Construction of 300 feet of seasonal road is proposed across two areas with steep slopes exceeding 65% grade. There are 3 osprey nests located within .25 mi of the T-10 haul road, and haul roads T-10, T200 and H110 pass within .25 mi to 1,200 feet of 4 marbled murrelet stands. A Sharp Shinned Hawk nest site was located within unit A in 2016, a Del Norte Salamander sighting was reported within unit C in 1990, and 3 old growth bat trees will be retained as habitat for Townsend's big eared bats. Spotted owl nesting territories are located within .25 miles of units A and B, and within .5 miles of unit C.
Mendocino Redwood Company to log SW of Comptche, CA near the South Fork of the Albion River. This THP is about 6 miles east of Albion, CA and about 4 miles SW of Comptche, CA at an elevation of 100 to 1,000 feet. Mendocino Redwood Company is planning a tractor and cable logging operation in redwood and Douglas fir forests. The THP area is adjacent to the South Fork of the Albion River which is listed as an impaired watershed for sediment and temperature. Mendocino Redwood Company is planning to use heavy equipment inside a watercourse area to long line logs adjacent to a class I (year round) watercourse. 50 road drainage sites are planned for work including rocking, dip construction, culvert repair/replacement and restoration of washed out crossings. 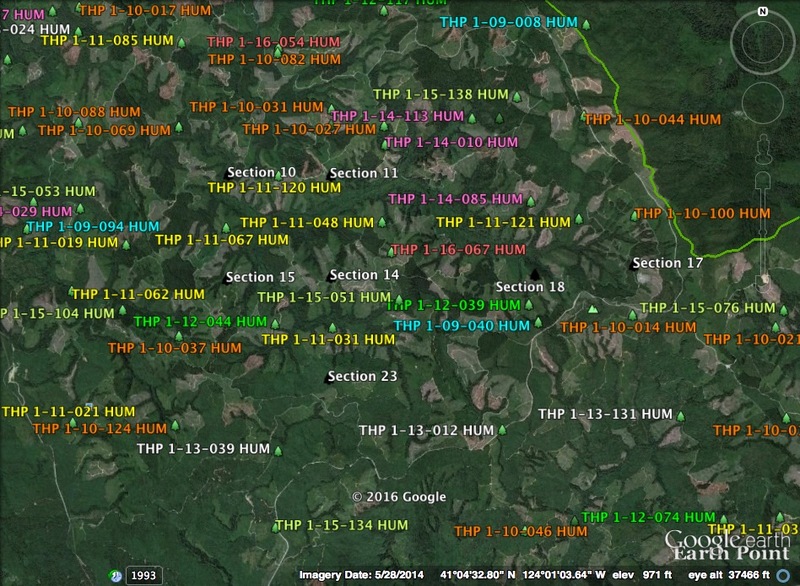 There are 6 spotted owl nesting territories within .7mi of the THP area. 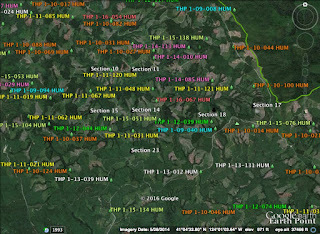 This THP is about 6 miles east of Trinidad, CA and Highway 101 at an elevation of 560 to 1,720 feet. Green Diamond Resource Company is planning a mostly clearcut tractor and cable logging operation on steep and unstable slopes in redwood and Douglas fir forests. There are 2 unstable areas in unit E along the SW boundary of Maple Creek, and 4 unstable areas in unit F along the northern portion of the unit, and near the 2800 road. Ground based equipment is proposed for use inside watercourse areas to long line logs and deck logs in unit C. One historic osprey nest occurs within .25 mi of the LP Mill haul road, 2 historic osprey nests are located within .25 mi of the BL2000 haul road, and southern torrent salamanders are known to occur immediately adjacent to unit F. There is potential marbled murrelet habitat on Harry Merlo State Recreation Area lands within .25 mi of the LP Mill haul road. Spotted owl nesting territories are located within .25 mi of units B and D, and within .5 mi of units A, C and E.
Sierra Pacific Industries to log out the home of California’s only known Wolverine. 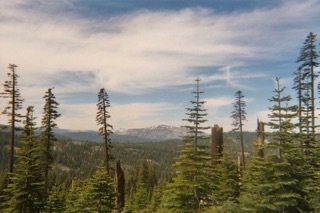 This THP is about 13 miles NW of the I-80 Donner Summit Pass, near Jackson Meadows Reservoir, a popular high elevation recreation area and the Pacific Crest Trail. 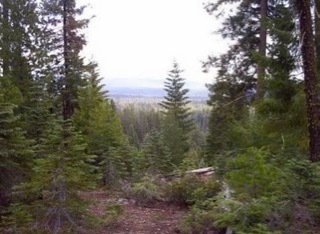 Sierra Pacific Industries is planning a tractor based logging operation in red fir, white fir, white pine, mountain hemlock, Jeffrey pine and lodge pole pine forests at an elevation of 6,560 to 7,640 feet. The only know wolverine to live in California was spotted here in 2009 (within the THP in section 23), within .34 mi of the THP in section 11, and in 2013 was spotted in section 34. 22 aspen restoration areas, and 15 meadow restoration areas are planned where encroaching conifers will be removed. Sierra Pacific Industries is planning to use feller bunchers for aspen/meadow restoration (conifer removal) inside class I (year round), class II (mid sized) and class III (intermittent) watercourses within sections 13,15, 19 and 23. They also are planning to use 5 existing landings inside class III (intermittent) watercourses in sections 11, 15 and 19. Eight road drainage sites are planned for work including 7 sites along old county road 301a with failed culverts, and 1 road crossing that diverts water into a class III (intermittent) watercourse. Significant wildlife sightings include: a pair of osprey located on USFS land just west of section 23, northern goshawk sightings in sections 07, 15, 22, 27, pacific fisher sightings in sections 19, 21, 25, 29, american marten sightings in sections 18, 23, 26, 28, a badger sighting in section 1, and a bald eagle sighting in section 13. There are CA spotted owl nesting territories in sections 24 and 25. Three occurrences of subalpine fireweed were reported, and 1 occurrence of Donner Pass buckwheat was reported. 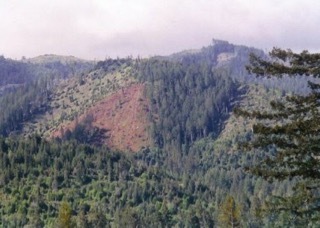 Sierra Pacific Industries to clearcut log east of Red Bluff, CA. This THP is about 22 miles NE of Red Bluff, CA and about 8 miles SE of Paynes Creek and Highway 36 at an elevation of 2,800 to 4,000 feet. Sierra Pacific Industries is planning a mostly clearcut tractor based logging operation in white fir, sugar pine, incense cedar and ponderosa pine forests. A new road is proposed inside a class III (seasonal) watercourse to access the Tail Holt Spring, and temporary roads are proposed for use during the winter period. SPI also wants to construct so called "jump roads" under 500 feet in length as needed without flagging to access units. 168 road drainage sites are planned for work including rocking, dip construction, ditch cleaning, culvert repair/replacement and restoration of washed out crossings. There are 3 cave sites near unit 54 that were inspected for Townsend's big eared bats with negative results. A California spotted owl territory and northern goshawk territory were reported in section 2, and Sanborn's onion was found in section 31. 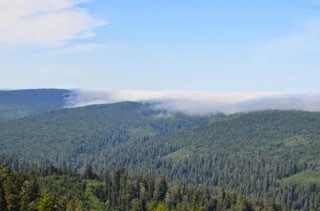 This THP is about 5 miles east of Orick, CA and Highway 101 along the eastern edge of Redwood National Park. Green Diamond Resource Company is planning a tractor and cable logging operation on steep and unstable slopes in redwood and Douglas fir forests at an elevation of 1,200 to 2,400 feet. The THP area flows into the Klamath River which is listed as an impaired watershed for sediment, temperature, dissolved oxygen and nutrients. There is a shallow rapid landslide terrain site in unit D. 21 road drainage sites are planned for work including rocking, dip construction, ditch cleaning, culvert repair/replacement and restoration of washed out crossings. Marbled murrelet habitat exists on redwood national park within 300 feet of units A and H, within .25 mile of the TT-100 road, and there are spotted owl nesting territories within .75 mi of units A and G.
Humboldt Redwood Company to log adjacent to the Eel River near Scotia. 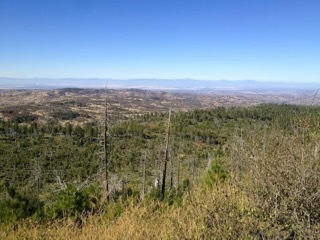 This THP is about a half mile south of Scotia, CA and highway 101 at an elevation of 120 to 160 feet. 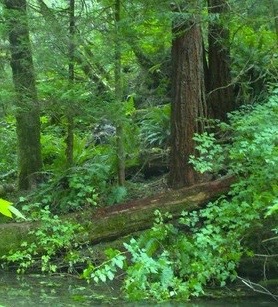 Humboldt Redwood Company is planning a tractor based logging operation in redwood and Sitka spruce forests adjacent to the Eel River which is designated as a wild and scenic recreation area and listed as an impaired watershed for sediment and temperature. Four road drainage sites are planned for work including rocking, dip construction, ditch cleaning and culvert repair/replacement. 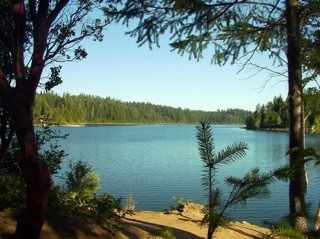 There are 8 spotted owl nesting territories within 1.3 mies of the THP area.